UFC fighter and former Strikeforce middleweight champion Luke Rockhold has a rich Jiu-Jitsu competition history. He won the 2007 IBJJF worlds at blue belt and at purple belt adult the following year. 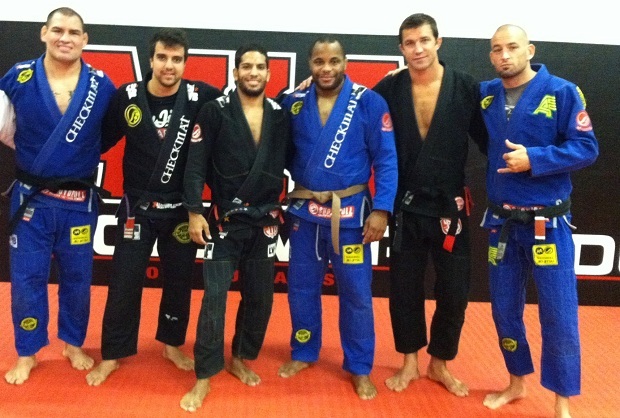 He was awarded his black belt last year through Leandro Vieira from Checkmat. “The rules. There’s just too many rules in jiu-jitsu these days. I believe I got screwed. “You know the thing I’d be open to? It’d be like a no gi super match or something like that. Maybe like a Metamoris, as long as there’s some money on the line.